Greatest Hits Radio, a new national commercial radio station from Bauer Media, has launched across the UK today. Offering listeners the biggest songs of the 70s, 80s and 90s, Greatest Hits Radio celebrates music from artists like Blondie, Queen, Madonna, Fleetwood Mac, INXS, Elton John and Michael Jackson - and promises 'the good times sound like this'. The new station launched at 6am this morning, opening with David Bowie’s ‘Let’s Dance’. The station is marking the life of David Bowie all week, with feature tracks from his glittering catalogue of iconic anthems from the 70s, 80s and 90s. In addition, Greatest Hits Radio will also be broadcasting two specially commissioned documentaries paying tribute to the legendary artist, with archive interviews from Bowie himself and contributions from collaborators. The weekday daytime lineup features renowned broadcaster Mark Goodier hosting the mid-morning show, while Breakfast on Greatest Hits Radio will be presented by Rossie who joins from Liverpool station, Radio City 2. Other presenters include Andy Crane who presents afternoons, Darren Proctor who hosts Drivetime, and Rick Houghton on evenings. Greatest Hits Radio follows the launch of national brand Hits Radio last year. 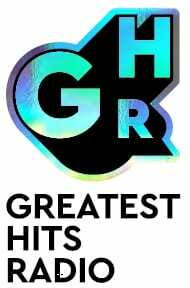 Greatest Hits Radio is available now on DAB digital radio, AM, online and on mobile devices. For more information go to planetradio.co.uk.